Here at Serv-A-Pure, we serve the commercial, industrial and residential industries, and offer a wide range of pure filters for water and water filtration systems. Our water specialists have more than 60 years of combined experience in the purifying, filtering and softening of life's most precious commodity. Find the pure filters you need in our selection of water filtration systems, and browse our wide range of other products including flow meters, water pumps and much more. 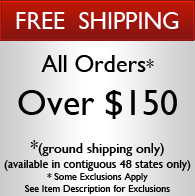 ServAPure.com carries a large assortment industrial and residential products, covering many water applications. Along with being a manufacturer of reverse osmosis and deionization systems, Serv-A-Pure distributes many of the top brands of water filters and housings, ultraviolet systems and accessories, reverse osmosis membranes, ion exchange resins, and other valuable water treatment equipment. Serv-A-Pure is a valued distributor for Pentek, Harmsco, Aries and Critical Process filters and housings. We carry a full line of ultraviolet systems and accessories from Aquafine, Trojan and Sterilight. 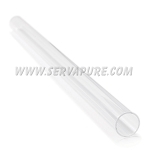 Serv-A-Pure also offers Filmtec and Hydranautics membranes, ion exchange resins from Dow, ResinTech and Purolite. 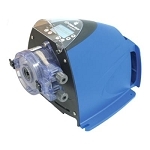 Rounding out our offerings is the complete line of Myron L quality water meters. Contact us for a complete ling of all of the products we offer. Serv-A-Pure is equipped with a full engineering staff that can design for you a complete high purity water system, commercial water filtration system, or down to a simple residential filtration system. 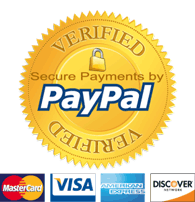 Many of the products offered on ServAPure.com can be customized to meet your exact needs. If you do not see a system that meets exactly what you are looking for, contact us and we can design or configure a system that will best fit your needs. 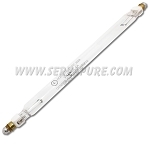 Our customer satisfaction is the number one priority here at Serv-A-Pure. As we are a small family run business, every customer is important to us and we will strive to make each customer feel appreciated and fully satisfied. All customers will be treated fairly and reasonably with consistent and honest business practices. All customer enquiries will be answered quickly and in a efficient manner to get you the results you deserve.